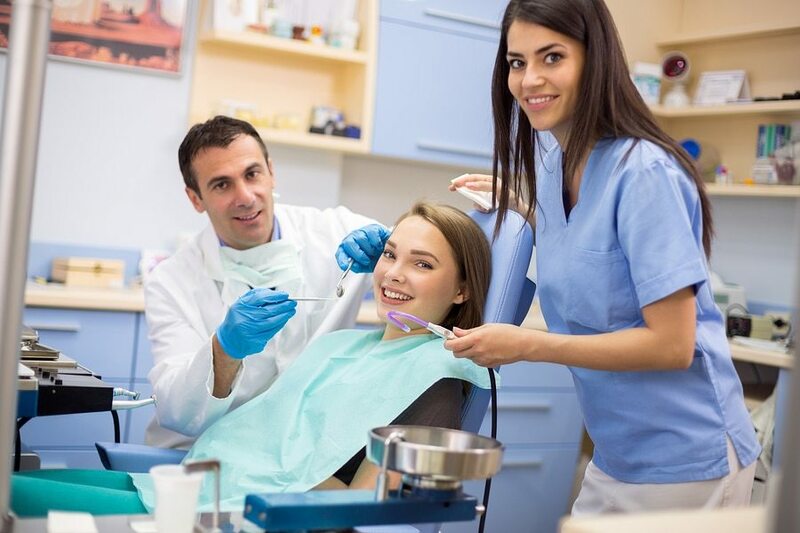 Research has proven that many sources of high decibel and/or high frequency noises found in dental offices can potentially damage hearing permanently including: high-speed hand pieces, high-volume evacuators, ultrasonic instruments and cleaners, model trimmers and other laboratory devices. At last hearing protection for Dentists, Dental Assistants and Dental Hygienists! 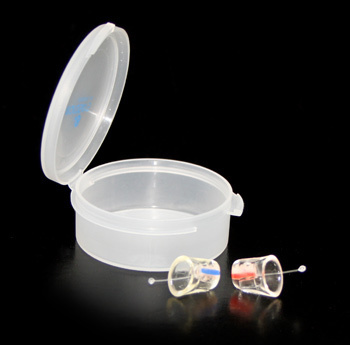 What this means is that they are a quality Ear Plug that will not muffle the sound of your patients voice. 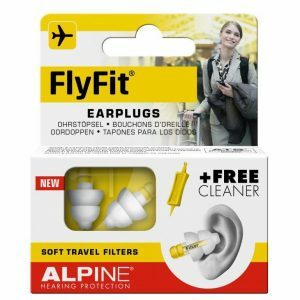 Foam Earplugs block and muffle all sounds, high-fidelity earplugs have been designed with acoustic filters which block out the harmful decibels but still allow the wearer to hear sounds around them. Acoustic filters lower the decibels equally from high to low frequencies. The Musician and the dental plugs are a filtering plug. You should still hear everything clearly, but receive the protection that is need to protect your hearing. Earasers high-fidelity earplugs can reduce dental equipment noise from an average of 85 dB to a safer and more comfortable 66 dB whilst still allowing for communication with patients and colleagues. Earasers have designed a “V-Filter”™ Acoustic Resonance Technology. 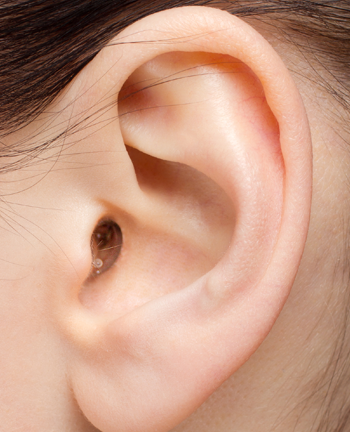 This technology basically inverts the natural resonance of your ear canal. Although the ear already carries out a great job at amplifying soft sounds, it is also the main reason that loud sounds become unbearable. Our ear canals can add 17-20 decibels of sound pressure at 2700Hz which you defintely don’t want in addition to any given loud environment. Earasers have achieved the ONLY Flat Rate Frequency Response Ear Plug in the World by inverting the natural resonance of the ear canal. Persona Medical is one of the world’s leading hearing aid specialists and has used their 45 years of experience to bring you the innovative and cutting edge EARasers Dentists & Hygienists Hi-Fi Ear Plugs. Most Dentists drills give off 2KHz of noise. Although this doesn’t seem like a lot of noise, research has proven that this is more than enough sound to cause tinnitus and lead to hearing loss after a full day at work. 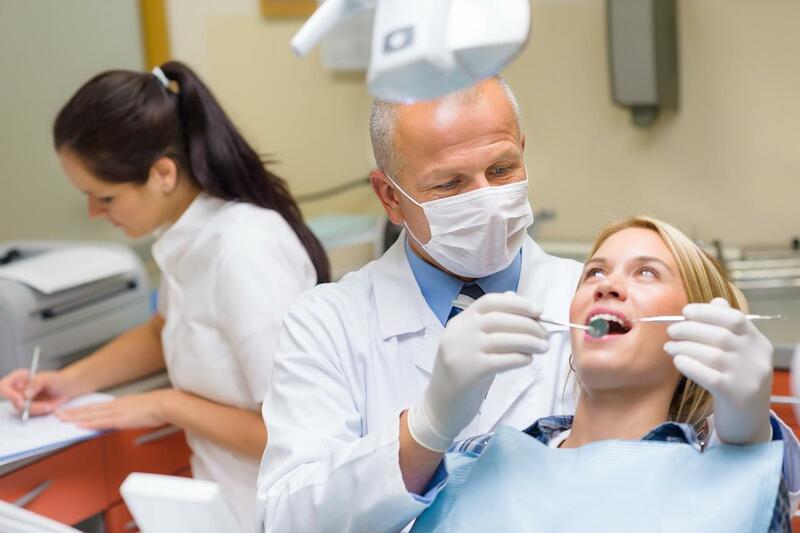 Did you know that Dentists and Dental Staff are one of the Highest reported Industries of having hearing loss and suffering from tinnitus? The great news in all this is that it is easily PREVENTED! EARasers Dentists & Hygienists Hi-Fi Earplugs block noise between 2KHz and 8KHz. This means that the ear plugs will block the damaginfg sounds of the drill but still allow you to comfortably converse with your patients and staff. 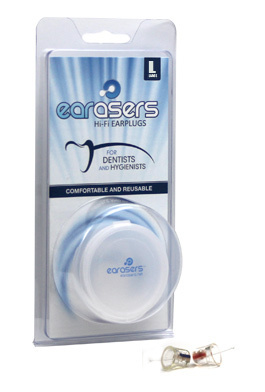 Because EARasers Dentists & Hygienists Hi-Fi Earplugs are near invisiable and very comfortable you will be able to leave them in all day. SMALL – tends to work very well with the majority of Women, Younger Males, and some Men who prefer a further-in-the-ear canal fit. MEDIUM – tends to work well with Adult Males who prefer not-so-far-in-the-ear canal fit. LARGE – tends to be a vey small percentage of the population. While we wish there were an easy chart for everyone to follow to find their perfect sized EARasers earplug, research has discovered that your individual ear canal size is not at all determined by height and weight, but rather age and gender and good ol’ DNA from your biological parents. Years of fitting individuals has given us a general guideline, however, and don’t forget there is the complimentary size swap out that’s available to you as well. Once you’re in the right size for your unique needs….you’ll be all set – and we are ‘hear’ to help you do just that!! GENERAL GUIDELINES: (use your past experience as well to assist you. Remember we have 4 sizes…and a billion different ear canals in the world. You do the math!) First Time Users…Keep reading below about EARasers Starter Kit so you have two sets of tips to try on side by side for one set of filters. It makes “getting it right the first time” so much simpler. X-SMALL – generally used by youth, such as Elementary, Middle Schoolers, and some High Schoolers – Also a small % of the Adult population Male and Female. If you’ve always had a difficult time finding any earplug that would fit comfortably into your ear canal, then this may just be your perfect category for you. We always recommend you try the SMALL before attempting the X-SMALL since it is so tiny. SMALL – typically the majority of Women and Younger Males (late 20’s and younger). Works well for some Adult Males with a smaller ear canal. MEDIUM – typically these work well with Adult Males (late 20’s and up) who do well with the average earbud. STILL WONDERING ABOUT THE RIGHT SIZE? Time to think back to your personal past experience with earplugs and/or earbuds? Any indication you may have small or tiny canals? If so, we recommend you try the SMALL size. If standard ear-buds seem to work well for you, then perhaps you would do well with the MEDIUM. Young Males (late 20’s and younger) – generally speaking, most younger Males do well with Smalls. Our ear canals grown our whole life. If you find that standard earbuds seem to work quite well then perhaps a Medium. Adult Males (Late 20’s and up) – Generally this group is split about 50/50 between Small & Medium. This is where your own personal past experience comes in really handy. If you have any indication that you may have tiny canals, then start with a Small. If standard earbuds seem to work fine for you, then perhaps start with a Medium. We will always do our best to help you find your appropriate size. Your Earasers can easily be cleaned following the steps below. 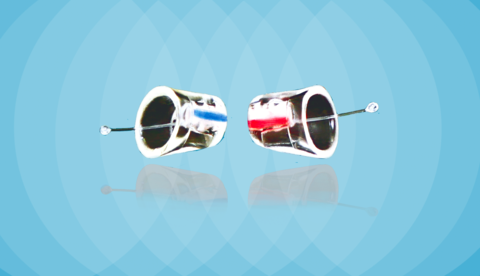 Be certain to NEVER (say it with me…..NEVER) Stick or Poke anything down into the tip, or opening, of your earplug. Doing so WILL result in a popped, or unsecured, filter or coupler rendering your earplug “damaged” and thus voiding the warranty. * To clean your Earasers, simply rinse off under warm water and let dry. Water will not harm the filter, however try to refrain from using soaps as they may cling to your filter and could create a build up. * “Alcohol free” wipes are perfectly fine to use, alcohol wipes can dry out the silicone over time and copromise the integrity of your plugs. * It is totally normal for ears to generate earwax. If wax, or debris, goes into the tip of your Earasers, it can gently be removed by simply using a “Soft Bristled Brush” such as a Soft Head Toothbrush, or a soft Baby Nail Brush. Using warm water and the soft bristle brush, gently work the wax and debris out. The soft bristles will gently remove the wax without having to insert anything down into the tip. Remember to NEVER stick or poke anything down inside the opening as it will damage your earplug. 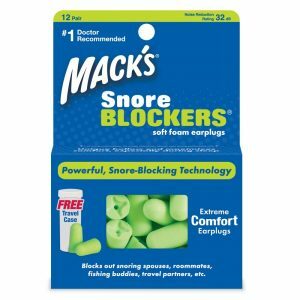 I purchased these ear plugs for myself and my staff and was pleasantly surprised at just how good the quality was. I was concerned that I would not be able to hear my patients, but this has not been the case. Great product, we’ll be back for more! Very pleased with the Earasers earplugs. Extremely satisfied with the clarity of speech from those around me and even happier that I am now protecting my hearing. I was first worried that they would not feel comfortable and that I would not be able to wear them all day, however I was pleasantly surprised. I was also concerned that I would not be able to hear my patients. however, this is not the case. We now all wear them in the clinic and I feel confident knowing that I am protecting not only my but also my staffs hearing. Thanks Tammy for helping me with the sizing & making sure we were all sorted! I barely notice them in. They don’t disrupt my hearing at all, are soft and comfortable. If they block out the pitch that they promise, then l think all dental staff should be wearing them.